Counter-Strike series has always been one of those games for me, that set me on the path to level design. I've spend considerable amount of time in early 2000's playing Counter-Strike 1.3 - 1.6. More then I care to admit. I didn't get much mapping done for Counter-Strike. But playing one of the best online shooters, did make me very perceptive at multiplayer team based level design. The layout, pacing, timing of objectives and choke points. Counter-Strike did this so well, that it requires its own study. So when CS:GO was announced I couldn't wait for it come out. Not because I wanted to get back into playing. But because after L4D1/2 I wanted to get back into Source based mapping. Mapping for a game that I love playing and which I still consider to be the best online multiplayer based gameplay out there. If you want to study level design for online multiplayer shooters. Counter-Strike is it. So, here is to mapping in Counter-Strike: Global Offensive. In the beginner series, I will cover all the basics that you need to get started with CS:GO. So if you have never mapped for Source based game before. This is where you should start. Within the next 8 tutorials, we'll go through the basics and a bit of intermediate techniques. At the end of the tutorial series, you should be very comfortable in CS:GO Hammer Editor, in order to continue creating your own custom map. Below you will find the links to all the tutorials within the basics beginner series. Note: CS:GO SDK is only available for PC. Download Steam from Valve's Steam website. Run it to install after the download. After you have installed Steam, you need a copy of the game bought from Steam. 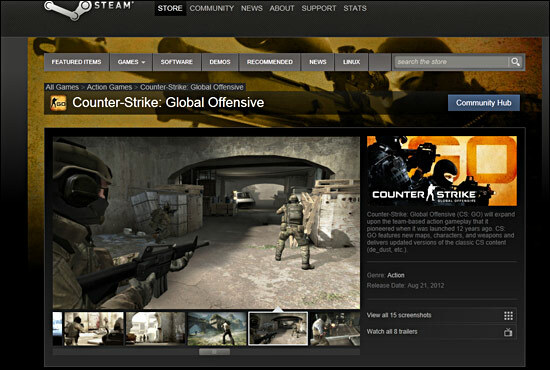 Simply do a search for Counter-Strike: Global Offensive through steam and purchase the game. Here is the direct link to the game on Steam's website. Install the game once you have it purchased. Important: Launch the game and play it for a minute or two. This allows everything to be loaded on your computer. 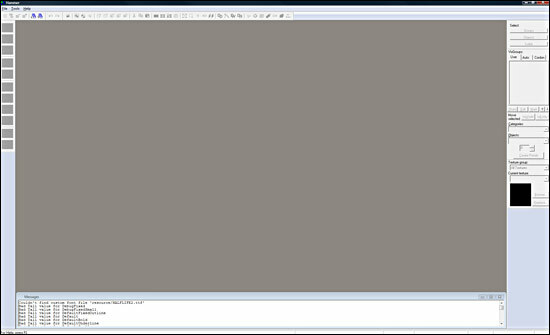 The game needs to initialize so when you run the editor everything goes smoothly. Once you have the game, we can install CS:GO SDK. 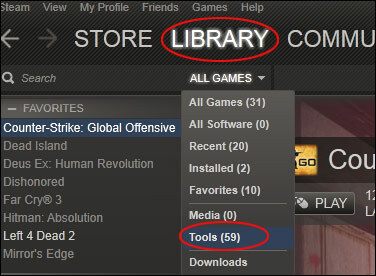 In Steam, click over to Library and under All Games, use the drop down menu and select Tools. 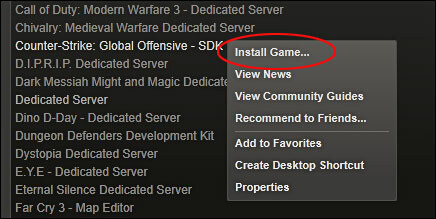 Scroll down untill you see Counter-Strike: Global Offensive SDK. Right click and choose Install. After install, I also select Add to Favorites. This way the tools are always at the top of my Library window. All we need to do now is Launch the editor. 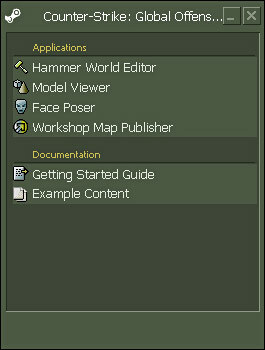 Double click on Counter-Strike: Global Offensive SDK. When you see the window above, double click on Hammer World Editor and the editor will open. You can open any of the example maps for CS:GO SDK that come with the download. Go to File --> Open. Go into Instances folder and open any of the map folders to access the map files. This allows you to look at the professional work from Valve. Also to reverse engineer their maps. File directory where SDK content maps are stored and eventually your map files will be stored are in: C drive or other installation directory.